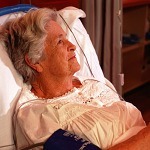 Skin changes at end of life - preventable? 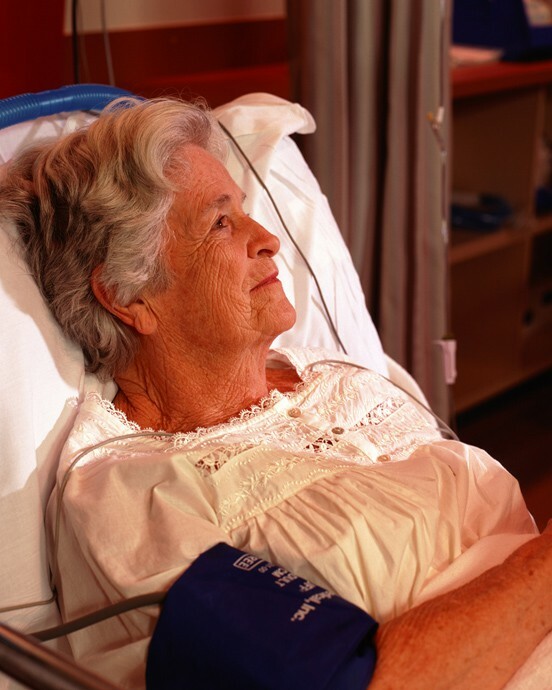 Home > Damages > Skin changes at end of life – preventable? Also known as Kennedy Terminal Ulcers, these are a specific subgroup of pressure ulcers that some individuals develop as they are dying. They are usually shaped like a pear, butterfly, or horseshoe, and are located predominantly on the coccyx or sacrum (but have been reported in other anatomical areas). The ulcers are a variety of colors including red, yellow or black, are sudden in onset, typically deteriorate rapidly, and usually indicate that death is imminent. Physiologic changes that occur as a result of the dying process (days to weeks) may affect the skin and soft tissues. These changes may manifest as observable (objective) changes in skin color, turgor, or integrity, or as subjective symptoms such as localized pain. Here is the medical-legal issue: clinicians assert that these changes can be unavoidable and may occur with the application of appropriate interventions that meet or exceed the standard of care. Dr. Alois Alzheimer was on call in 1901 when a 51-year-old woman, Frau August D, was admitted to his asylum for the insane in Frankfort. Dr. Alzheimer followed this patient, studied her symptoms and presented her case to his colleagues as what came to be known as Alzheimer’s Disease. When Frau Auguste D died on April 8, 1906, her medical record listed the cause of death as “septicemia due to decubitus.” Alzheimer noted, “at the end, she was confined to bed in a fetal position, was incontinent and in spite of all the care and attention given to her, she suffered from decubitus.” So, here we have the first identified patient with Alzheimer’s Disease having developed immobility and two pressure ulcers with end-stage Alzheimer’s. In our modern times, end stage Alzheimer’s Disease has become an all-too-frequent scenario with multiple complications including SCALE (Skin Changes at Life’s End). When the dying process compromises the homeostatic mechanisms of the body, a number of vital organs may become compromised. The body may react by shunting blood away from the skin to these vital organs, resulting in decreased skin and soft tissue perfusion and a reduction of the normal cutaneous metabolic processes. Minor insults can lead to major complications such as skin hemorrhage, gangrene, infection, skin tears and pressure ulcers that may be markers of SCALE. Are skin changes at the end of life preventable? Skin changes at life’s end are a reflection of compromised skin (reduced soft tissue perfusion, decreased tolerance to external insults, and impaired removal of metabolic wastes). When a patient experiences SCALE, tolerance to external insults (such as pressure) decreases to such an extent that it may become clinically and logistically impossible to prevent skin breakdown and the possible invasion of the skin by microorganisms. Compromised immune response may also play an important role, especially with advanced cancer patients and with the administration of corticosteroids and other immunosuppressant agents. Skin changes may develop at life’s end despite optimal care, as it may be impossible to protect the skin from environmental insults in its compromised state. These changes are often related to other cofactors including aging, co-existing diseases, and drug adverse events. SCALE, by definition, occurs at life’s end, but skin compromise may not be limited to the end of life situations; it may also occur with acute or chronic illnesses, and in the context of multiple organ failure that is not limited to the end of life. What you’ve read is the medical perspective. There are plaintiff attorneys who dispute the existence of SCALE and see it as a handy way for a facility to defend the development of a pressure sore. Get in on the shifting thinking about pressure sores by learning from one of the experts in the field. Dr. Krasner explores these and other controversies in an all new multimedia course that took place on February 27 and March 5, 2012. Get the on-demand recordings for Pressure Sore Case Analysis and Reports here.